Trudy is currently on extended leave, please watch this space for her return. Trudy has an Associate Degree in Social Science (Counselling). She has consulted with Yarrow Place to assist in the development of an information pack for young people. Trudy was also a ReachOut! Youth Ambassador for 3 years, helping to spread the word to young people about services for mental health. 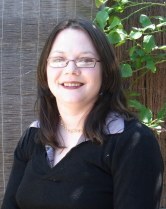 Trudy has been a moderator/counsellor for several years with an online website for people with mental health problems. Her focus is individual counselling specialising with grief and loss issues, although has training in dealing with families, relationships, and anger management. Trudy has volunteered and been involved with helping people with mental health issues for 10 years, but has just finished retraining to work more specifically in a one on one mode of practice.